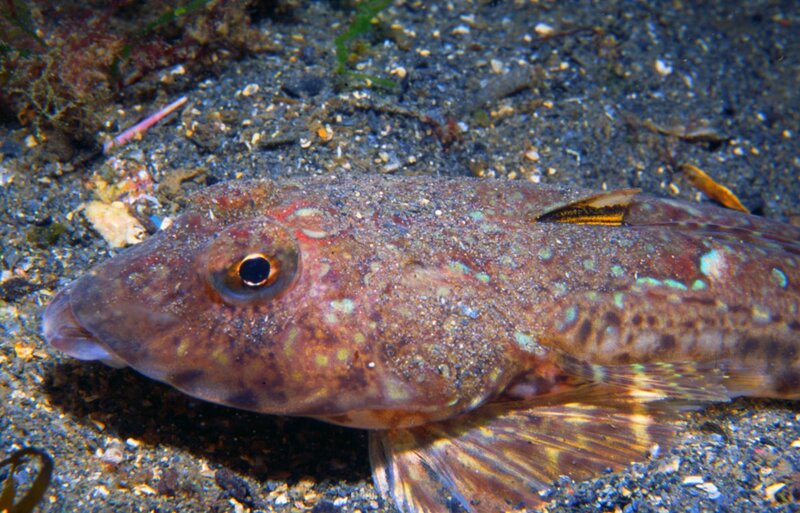 A broad, triangular head together with a long snout distinguishes the dragonet from gobies. It is a slim fish with bulging eyes on the top of its head. Males are thought to only breed once in a lifetime and courtship includes the male pulling a face as part of an elaborate display. The fish feed on small animals in the sand like worms and crustaceans. Read more on diving the Isle of Man.